Is Online Registration Reaching a Tipping Point? I’ve written a LOT over the last year-plus about the coming emergence of online voter registration (OVR) as a key innovation in the field of election administration – but recent events suggest to me that this emergence is rapidly entering the present tense. A bill before the [Legislature] would enable Nebraskans to register to vote online, 24-7. Nebraska Secretary of State John Gale, who oversees the state’s elections, says he’d support the move onto the Internet and once the website is created, it would be a relatively quick, simple process for the user to get registered. The bill, LB 661, is being sponsored by Senator Bob Krist of Omaha. The legislature’s Government, Military and Veterans Affairs Committee reviewed the bill last week. Adam Morfeld, the executive director of Nebraskans For Civic Reform, was among those who testified in favor of the change. The emergence of a consensus in Nebraska – where advocates who hammered the Secretary of State for alleged election problems are now praising him for his support of OVR – suggests that we could be entering a period of rapid adoption. If that does indeed occur, watch for significant changes in the ways in which voters interact with the election system going forward. In other words, the future may soon be right now. Stay tuned. 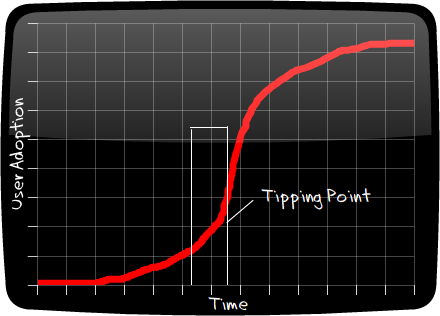 Be the first to comment on "Is Online Registration Reaching a Tipping Point?"